DHWANI YUGM- Meaning, a sound that comes from heart. A good voice or Sound is something that gives an extra edge to the emotions conveyed in visuals and we at Dhwani Yugm make sure that your visuals find that extra edge that takes the right emotions to another level. Dhwani Yugm is conceptual wisdom aimed at all kind of professional projects that you demand. Be it telephony, radio, railways, e-learning solutions, animations, television, documentaries, movies, computers, aviations, corporate presentations, computer-based-training, online training and advertisements, Dhwani Yugm has known for its Excellency in every genre. Kuldeep is a professional voice over actor and the founder of Dhwani Yugm Studio whose unbelievable passion towards the voice over department has been counted from last 10 years and he is still going strong. He is proficient in Hindi and English voiceovers. He has landed his voice in several Hindi channels, News, Promos, Radio Plays, Radio Spots, Ads, E-learning Modules, Audiobooks etc. He has also collaborated with industry big shots like Discovery, HBO and National Geographic channel and also given his magical voice in Hollywood movies. He's flexible with working hours and always prioritize the client's needs. Collaborate with Kuldeep to get the right emotions for your projects. Hindivoiceoverartist.com offers a wide range of expert professional voice over services in Hindi. Dhwani Yugm has the best quality standards in English with the High Quality vocals in perfect accents. We are one stop solution of the best new voice talent from the Media Industry. We aim to call upon. 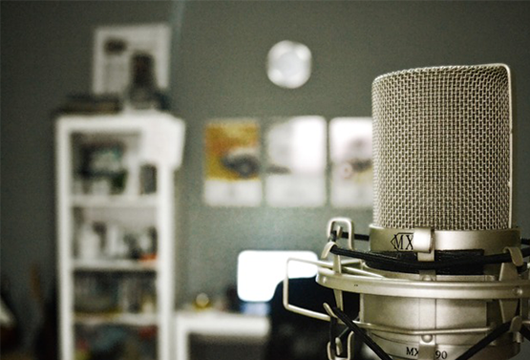 Contact to dhwani yugm indian voice company and studio..
Dhwani Yugm as the name suggests is a recording house engaged in providing recording and voice-over services for advertisements and various other media. We provide assistance to various reputed organizations for all their sound as well as video editing needs, voice overs, visual and special affects, etc. Our service range includes Ad Film Making, Documentary/Short Film Making, Video Film Production/Video Editing, Non Linear Editing, Audio Visual Production, Community Radio Setup, Video Coverage, Advertising, Audio Recording/Dubbing and Media Consultancy. Under the guidance of our directors Mr. Kuldeep, our production house has achieved soaring heights of success. We can also provide complete assistance to organizations regarding reocrding and production work. Right from sound editing to copying, adaptation, special effects, visual effects and graphics, we can create innovative concepts and advertisements.